So tönet denn, schäumende Wellen (also Verzweiflung), a setting by Johann Ludwig Tieck, was composed by Johannes Brahms between 1865 and 1869 and published the same year. It is the tenth lied of Brahm’s song cycle Fünfzehn Romanzen, op.33. Brahms first songs of the cycle op.33 were published in 1865 (1to 6), the remaining ones in 1969. At the time of the composition, Brahms had already settled in Vienna and been appointed conductor of the Vienna Singakademie before resigning a year later. This furthered his interest in vocal music and many of his choir and melody works were composed from then on. This song cycle is exceptional among Brahms’ set of songs as it is solely inspired by one and unique poet: Ludwig Tieck. The cycle is, by far, his largest set and its performance, as a whole, lasts nearly an hour. Brahms selected the poems from one of his favorite youth novels, The Wondrous Love Story of the Beautiful Magelone and the Count Peter of Provence by Ludwig Tieck. Those poems were lyrical interludes in between chapters, set in the voice of the main character of the novels, Count Peter (except for N.13 voicing the sultan’s daughter’s concerns). The poems follow the adventures of the protagonist and Brahms was adamant in trying to convey the drama and intensity of it all. So tönet denn, schäumende Wellen is the tenth lied of the song cycle. The song cycle begins with Peter dreaming of adventures (N.1, Keinen hat es noch gereut). As he asks his mother permission to leave, she hands him three rings for his future bride (N.2, Traun! Bogen und Pfeil sind gut für den Feind). He soon meets Magelone, the kings’ daughter and it is love at first sight (N.3, Sind es Schmerzen, sind es Freuden). He sends her two of the rings (N.4, Liebe kam aus fernen Landen and N.5, So willst du des Armen dich gnädig erbarmen). As he is finally granted a personal meeting with her (N.6, Wie soll ich die Freude, die Wonne denn tragen? ), they kiss for the first time and he gives her the third ring (N.7, War es dir, dem diese Lippen bebten?). He learns Magelone is to be married soon with someone else (N.8, Wir müssen uns trennen, geliebtes Saitenspiel). They decide to flee together (N.9, Ruhe, Süßliebchen, im Schatten). As Magelone is sleeping, a raven steals her three rings. Peter, when trying to get them back fall into the sea, far from his beloved. He expresses his desperation in his lied: So tönet denn, schäumende Wellen (also named Verzweiflung). The piano accompaniment, with its stormy arpeggios at the right hand and its turbulent octaves at the left, figures the despair of the protagonist but also the raging elements. The vocal line, with its fiery ascending and descending phrases, tempests over furious harmonies, carrying out all the rage and anguish of the protagonist. 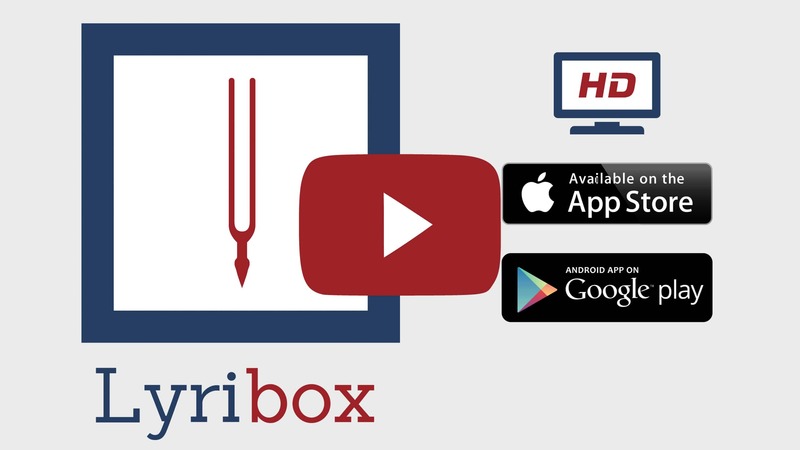 Lyribox, the popular online platform for classical sheet music, accompaniment and ipa translations brings the best by J. Brahms by offering the sheet music, accompaniments and translations to the fans gathered around the site, for the best price that could be found online. The sheet music, accompaniments and translations provided by Lyribox for are of highest quality and accuracy. So tönet denn, schäumende Wellen (also Verzweiflung) originated was composed by Johannes Brahms. The original lyrics are in German. The melodious note arrangement of So tönet denn, schäumende Wellen (also Verzweiflung) ranges from pianissimo (very soft) mellow notes to forte (loud) notes carrying the player and the audience through an array of vivid emotions. The sweet soft beginning of the music piece gradually increases and decreases the loudness in smooth transitions. This music piece is decorated with phrases, slurs and an arpeggio. A perfect composition for piano players to try with an intermediate knowledge in music. Students can make use of this sweet music piece to improve their knowledge in music expressions, ornaments and sight-reading, while all music lovers could enjoy this brilliant extract whole-heartedly. So tönet denn, schäumende Wellen (also Verzweiflung) sheet music produced by Lyribox is clear, precise and is transcribed in English by Lyribox. By purchasing So tönet denn, schäumende Wellen (also Verzweiflung) sheet music from us, you can simply sing along as you play this masterpiece on your piano. Unlike many sheet music sold online with all black notations, sheet music we offer you is marked using three distinct colors. While piano notation is illustrated in black, the music expressions and the lyrics are given in red and blue respectively. Get So tönet denn, schäumende Wellen (also Verzweiflung) by J. Brahms sheet music from Lyribox today to enjoy and share this wonderful music composition with your friends and family. So tönet denn, schäumende Wellen (also Verzweiflung) piano accompaniment is offered by Lyribox is mellow and smooth. It feeds the poem an underlying pulse, adding a sense of propulsion to it. Meanwhile the vocal line flows in a dreamy leisure manner forcing the audience into a calming and languid mood. The vocal line of So tönet denn, schäumende Wellen (also Verzweiflung) by Lyribox has the potential to provide slight pitch support for the voice’s sometimes unusual intervals, enhancing the fullness of it. This accompaniment is not at all demanding. Using these rich So tönet denn, schäumende Wellen (also Verzweiflung) accompaniments you could create one of the most brilliant performances that is pregnant with layers and layers of expressions. Purchase the So tönet denn, schäumende Wellen (also Verzweiflung) piano accompaniment together with the vocal line accompaniment from Lyribox today!